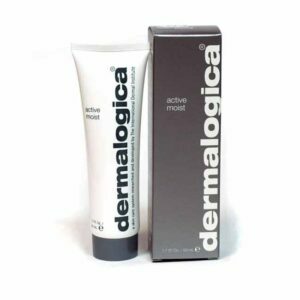 Dermalogica Active Moist is an oil-free, lightweight moisturiser in a sheer and easy to apply formula which helps hydrate combination skin. Active Moist is Dermalogica’s best seller. It contains Silk Amino Acids and a unique combination of plant extracts that help improve skin texture and combat skin dehydration. Formulated without artificial fragrances and colours.